a local all star, all female band! With a rock ‘n’ roll soul attuned to rhythms from below the Mason-Dixon Line from a different era, Mena Hardy has found a most appealing retro groove. 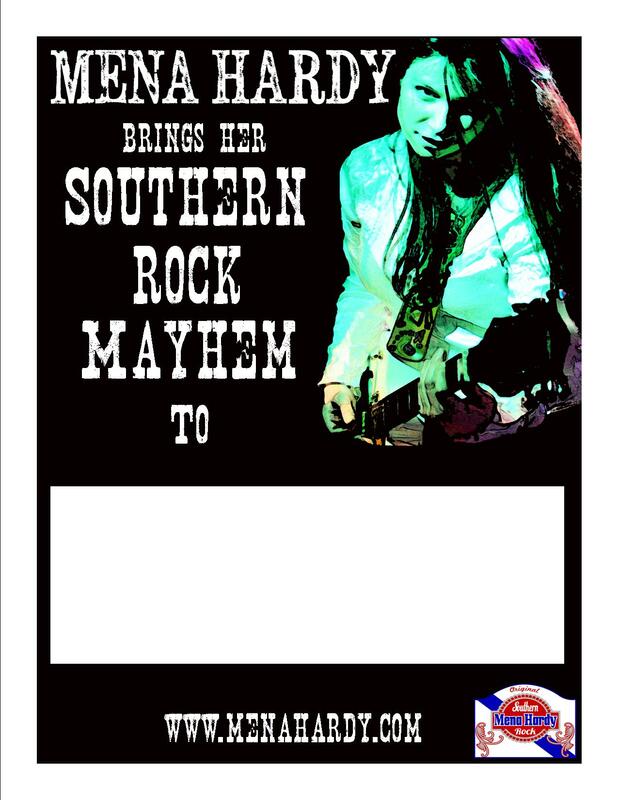 The term ‘Southern Rock’ is no longer a geographic classification for her genre if it ever really was. 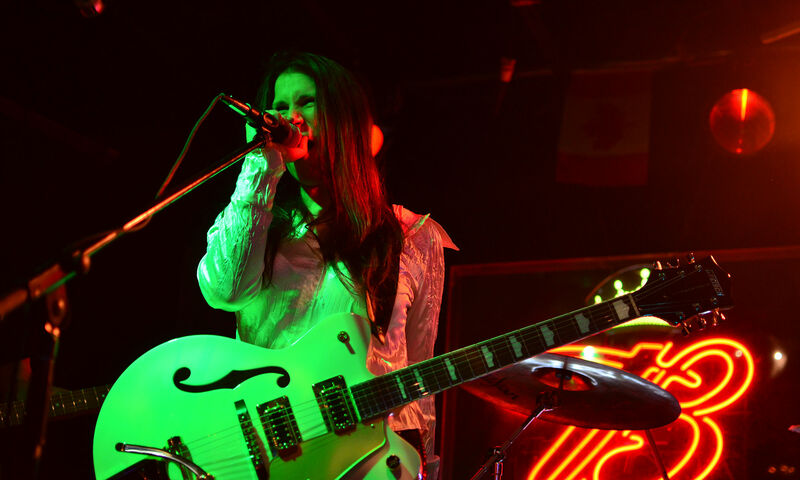 The music she composes and performs has the down-home, spiritual feel of a girl from Alexandria, Louisiana or Alexandria, Virginia rather than Mena’s actual hometown Alexandria, Ontario, Canada. If that strikes the reader as being at all anomalous then imagine how it was for the artist herself. Her musical gifts went misunderstood and unappreciated throughout her formative years. She found herself and her old-school Southern Rock sound long after being made to feel outcast. A former Hooters waitress with a university degree in psychology, Ms. Hardy doesn’t fit stereotypes well. She merely defies them and the odds in overachieving in multiple facets of her life. 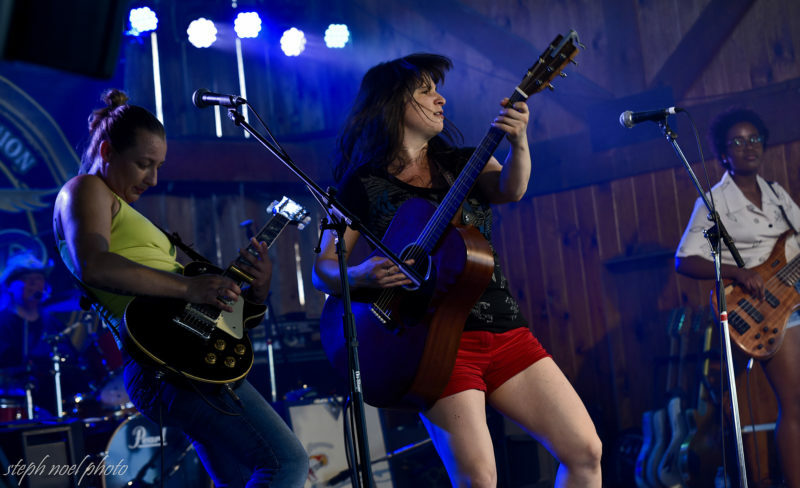 The Delta blues influences are profoundly evident on her self-titled debut CD as well as her second release the five-track EP ‘It’s Been Mean & Hard’ engineered and produced by Brad Keay and featuring Pat Rush (sideman for Johnny Winter and Jeff Healey). Her music can be heard on commercial radio, television and the film ‘Club Utopia’. 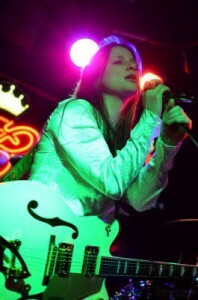 She was also the runner up for the coveted rock category in the John Lennon Songwriting Competition in 2012.